Though the tender has been floated for the construction of a bridge in Navsari district of Gujarat, it is one of the 60 bridges to be built on the high-speed railway corridor between Gujarat and Mumbai. As the government aims to launch India's first bullet train by 2022, the floating of a tender by the NHSRCL, the nodal body to implement the project, has been the first major step towards completing the 508-km high-speed railway network between Gujarat and Mumbai. Once completed, the Japan-backed $17 billion bullet train project would reduce the travel time between the two prominent cities to just 3 hours from the usual seven. Though the tender has been floated for the construction of a bridge in Navsari district of Gujarat, it is one of the 60 bridges to be built on the high-speed railway corridor, an Indian Express report said. The floating of the tender also marks the slowing down of a confrontation over the land acquisition process in the two states. 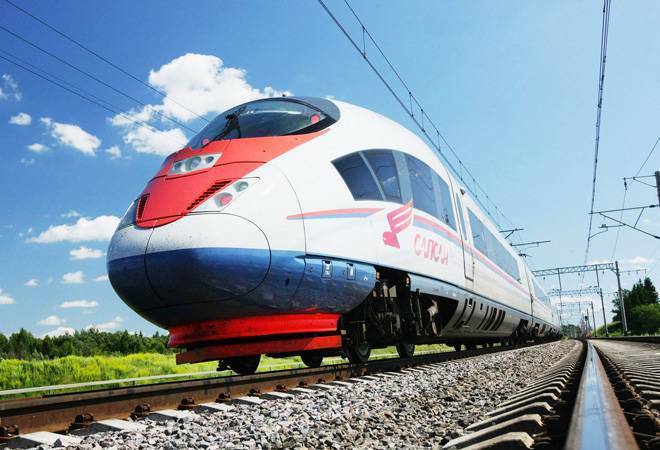 The National High-Speed Rail Corporation Limited (NHSRCL) has said the acquisition process is on, and that the first tender under the project has been floated in Gujarat. The nodal body had earlier failed to achieve much during its mass contact programmes in 23 villages that showed maximum resistance against the project. Faced with a tight deadline and stern opposition from residents of some areas in both the states, especially Palghar in Maharashtra, the NHSRCL officials have been meeting with individual landowners to understand their demands in addition to the promised compensation. Tribals and fruit growers in Palghar district have vehemently opposed the land acquisition process for the project. "We have changed our stance. Earlier, we would gather villagers at village chowks to convince them of the good that the project would do. That did not work, so we have decided that we will now target landowners only and ask village heads to give in writing what they want in addition to the compensation for their land," NHRCL spokesperson Dhananjay Kumar had told PTI last month. About 110km of the 508-km train corridor passes through Palghar. The project requires an estimated 300 hectares across 73 villages, affecting about 3,000 people, in the stretch. The NHSRCL has been trying to break the deadlock by roping in women in all 73 villages of Palghar where the government intends to acquire land for the project. These women would help the officials fix meetings with village heads to speed up the compensation work. A team comprising 15 women would also raise the awareness about compensation, the importance of the project, and would also help officials to understand the addition demands -- like protection of major government facilities and water bodies -- of the area residents. The Mumbai-Nagpur Expressway is part of the Diamond Quadrilateral rail project that will connect Delhi, Mumbai, Kolkata and Chennai through a high-speed rail network. The Mumbai-Ahmedabad high-speed corridor will be the first to be implemented under this ambitious project.